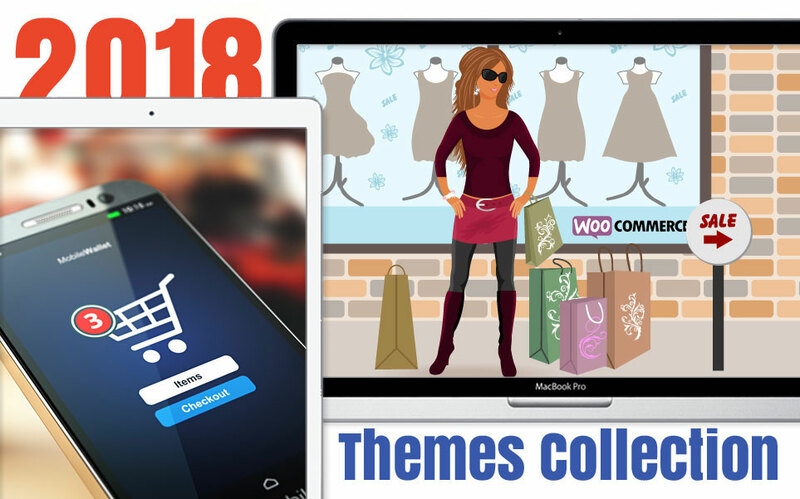 Best WooCommerce themes 2018 - Build your successful online store! 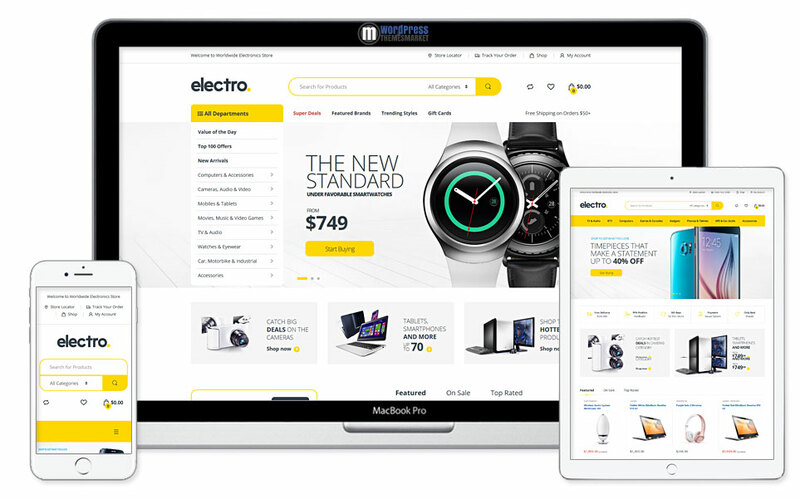 Well-designed, robust and flexible Electro theme was developed for Electronics Store, vendor marketplaces and affiliate websites powered by WooCommerce and Underscores framework (ean and extensible code). This Electro well-suited theme helps you with your business easily by using one click! It is packed with well-known plugins, like Revolution Slider, Visual Composer, YITH WooCommerce Wishlist and YITH WooCompare. This theme is compatible and WPML ready. You get amazing features like easy installation setup, importable dummy content, pre-defined header styles, color schemes, advanced mega menu and tons of customization options. Electro theme coems with its own extensions to take your store to the next level. You get Advanced Live Search, Store Directory, Product deals, carousels, Accessories Management and others! Also, this theme comes bundled with most of the features available in popular eCommerce websites like amazon, alibaba and aliexpress, etc. 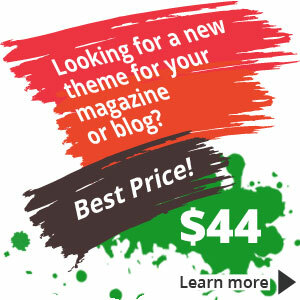 So if you are an amazon affiliate, multi-vendor marketplace or a store owner, get this theme now! It’s for you! Seese is a minimal and clean, fast loading and sleek, modern and tech-savvy Responsive eCommerce Theme that was developed to be a perfect promotion for your business with the field of e-commerce and fully focussed on online shopping. 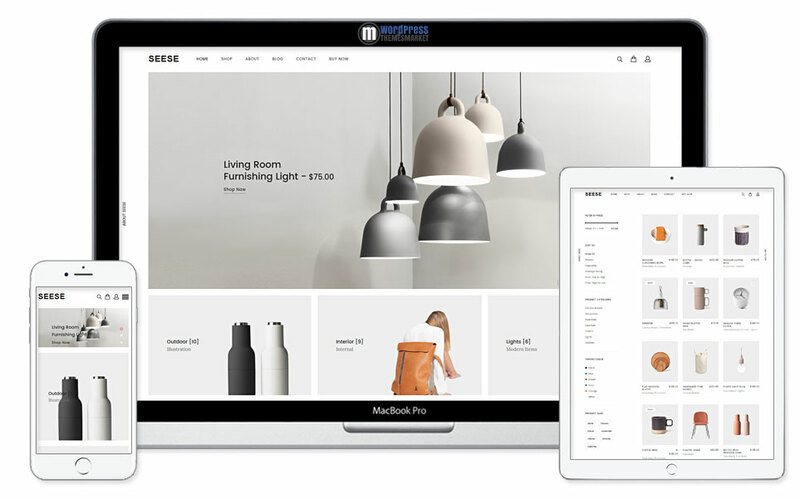 Seese theme is packed with lots of features like 5 types of shop display layout options, 2+ modern category layout options, product layout types, product animated slides, track order easily, product wishlist, advanced filter and many many more! 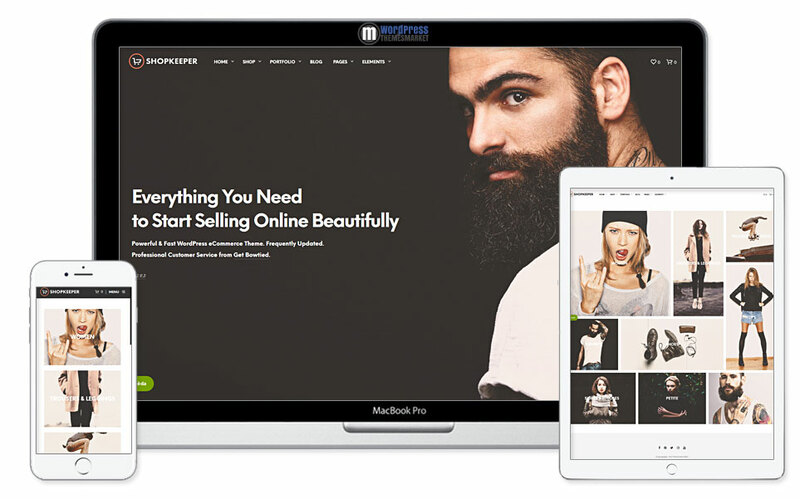 This theme is everything you need to build your site and sell online fast! 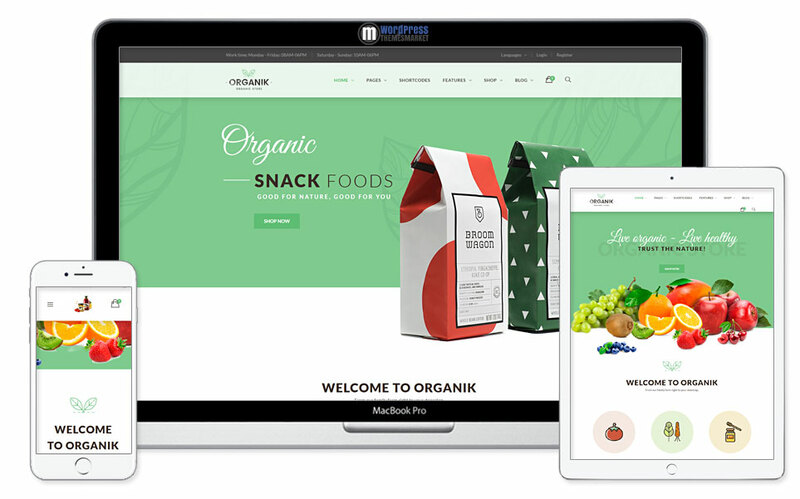 Organ is very simple and clean, minimal and very fast Responsive WordPress Multi-Purpose WooCommerce Theme that is designed for Organic Store, grocery store, supermarket store & much more. This theme is packed with Modern & clean, Responsive design, Easy to install & customize, Easy custom home page, Easy Widget Positioning, WooCommerce ready, SEO Optimized, Best Seller products on home page, Related product slider on product details page, Header dropdown, shopping cart, Back to top and many many more! 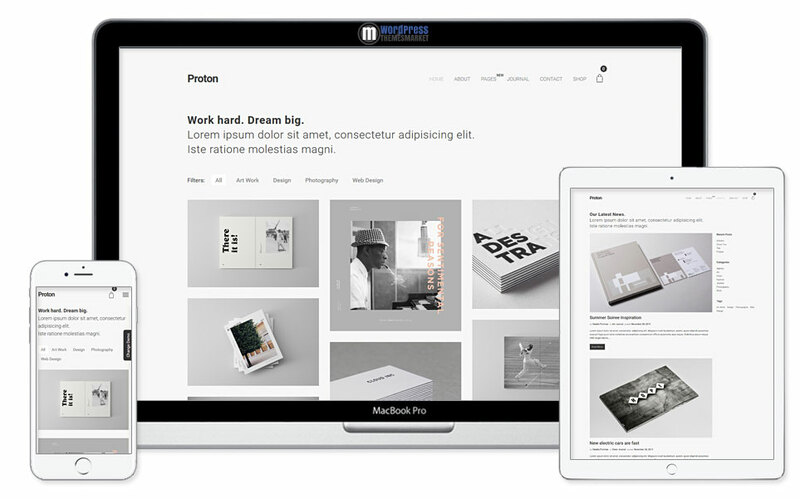 Proton is a faster and lighter, simplier and beautifully-designed Minimal Portfolio WordPress Theme that is strongly focused on many purposes starting from minimal portfolios, agencies, freelancers and much more. This theme is packed with awesome features like powerful theme options, WPML and WooCommerce ready, lots of portfolio styles, one click demo importer, charming shop, unique portfolio types, clean code, 100% responsive with retina ready and much much more!